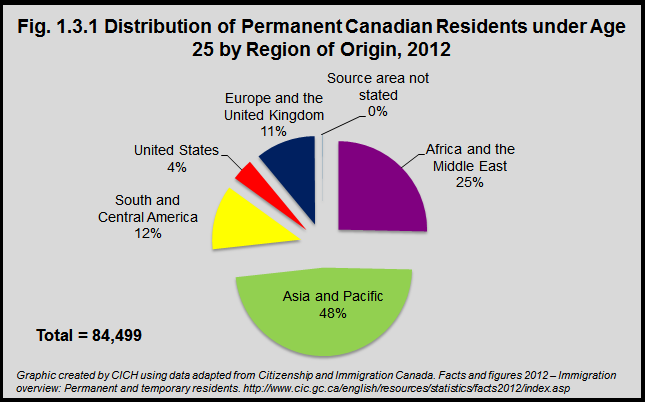 In 2012 almost half of the immigrants under 25 years who became permanent residents in Canada came from the Asia and Pacific Region. A further 25% came from Africa and the Middle East. A child’s or youth’s region of origin is not necessarily their place of birth. For example, research had found that many Jamaicans immigrate first to the United Kingdom, and then to Canada.1 These individuals would technically be considered immigrants from the United Kingdom.